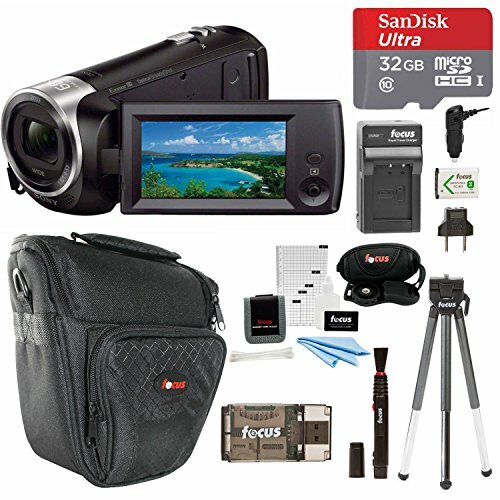 FEATURES: A 26.8mm wide angle ZEISS Lens and can record Full HD video in AVCHD, and MP4 formats. Now you can zoom in on all those special moments in your life. From your toddlers first steps to his/her graduation or wedding you can now capture it all with Sony’s HDR-CX 405 HD HandyCam. Equipped with a number of features including a wide angle Carl Zeiss zoom lens with 30 x optical zoom makes the CX-405 a marvel of design. You also don’t have to worry about blurry footage thanks to camera’s built-in Optical SteadyShot image stabilization feature with intelligent Active Mode you get clear footage. The optical image stabilization feature compensates for greater degrees of camera shake by delivering smooth video from wide angle to full telephoto shooting.